Rajveer Galvanized Fasteners, Size: 1/2"
Tejas Corporation is one of the most proficient players in hot dip galvanized fasteners. These hot dip galvanized fasteners are made up of quality raw materials. We have variety of fasteners such as mild steel series 5.6, 4.6 & 8.8 grades. These fasteners are best known for its durability & low maintenance. With our wide experience and knowledge, we now bring forth a wide range of Hot Dip Galvanized Fasteners all around the world. All these products are highly strong and sturdy in nature and endure a long lasting life. 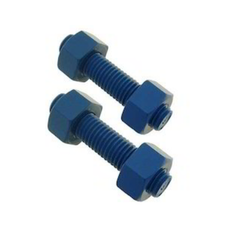 These fasteners are well fabricated by the expert engineers and are resistant to rust as well. We are presenting our products at reasonable rates as per the requirement. We have specialized in the manufacture of hot dip galvanized fasteners that are highly recommended for joining heavy duty components. 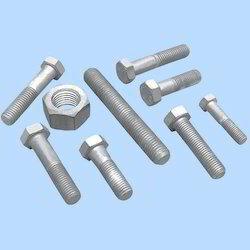 These galvanized fasteners are excellent and have galvanized coating, which ensure resistance against rust and corrosion. The range is relatively very good and easy to specify. An organic paint coating of equivalent corrosion protection performance. The durability performance of a coating is excellent and can survive any environment in which it is placed. Corrosion rates for different environments. Price and Quality will not be an issue. We offer a wide range of Hot Dip Galvanized Bolts that is widely appreciated for its heat and moisture resistance. Our team of engineers uses latest methodology to maker the entire range. Further, these are thoroughly checked at every stage of production to ensure the quality at par with international standard.